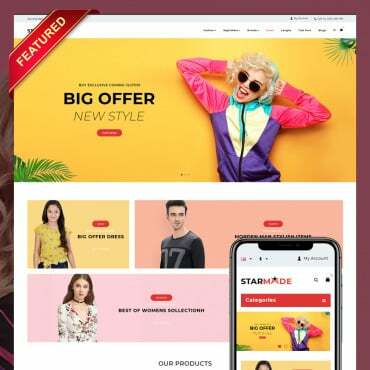 Not so long ago TemplateMonster announced the release of 6 new Prestashop templates that were expected to bring a real revolution to the world of web design. Three of them have been already launched and dozens of avid Prestashop fans have put their hands on Style, Styler and QX. 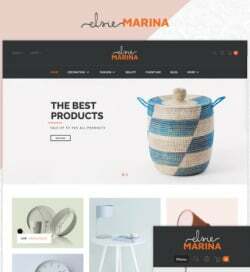 Now, it’s high time to take a closer look at what two new Prestashop designs have to offer. 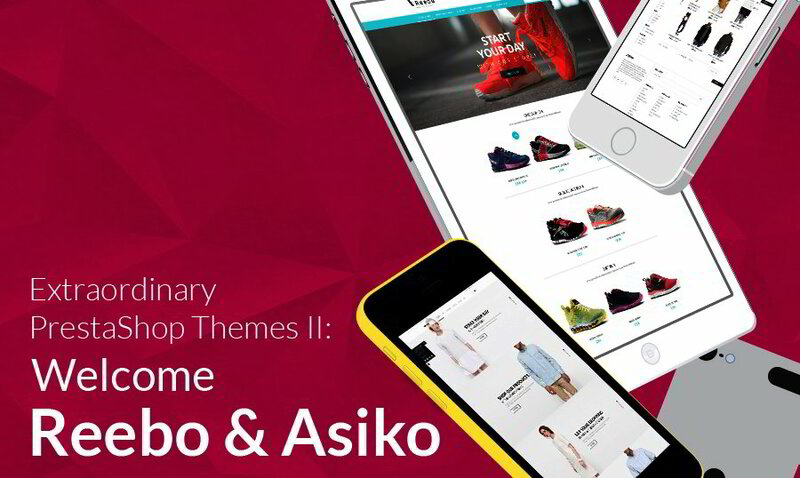 The themes we are going to discuss today are dubbed Reebo and Asiko – the beautifully designed eCommerce templates intended for sport and fashion stores, respectively. The stylish, elegant look of these themes is not the only feature that makes these two so impressive. 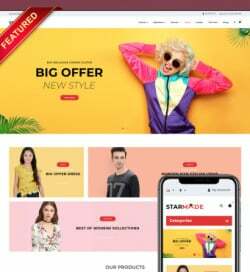 Both of these new Prestashop designs include a pack of non-standard front pages, unique subpages and completely revised default Prestashop modules. 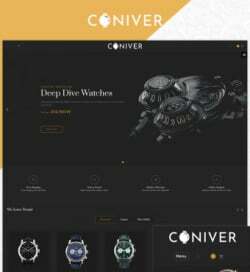 Additionally, each theme includes a full content dump with options and product characteristics that are suited for multiple topics. Now, let’s dig deeper and see what these two brand new TemplateMonster’s Prestashop themes have inside. TM Mosaic Products. 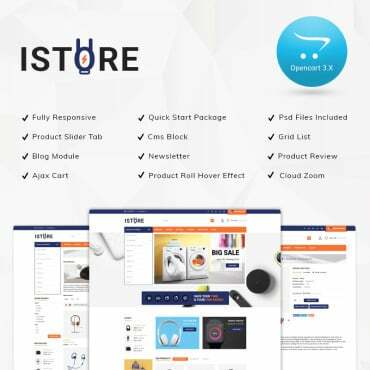 With the help of this built-in module you can present your store products in a more interactive and appealing way. To see this element in action, take a closer look at the main page of Reebo. 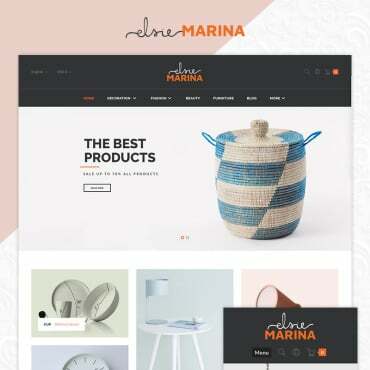 Here items from different categories were organized into an elegant mosaic, which captures attention of your site visitors with its unique feel and look once reaching your front page. 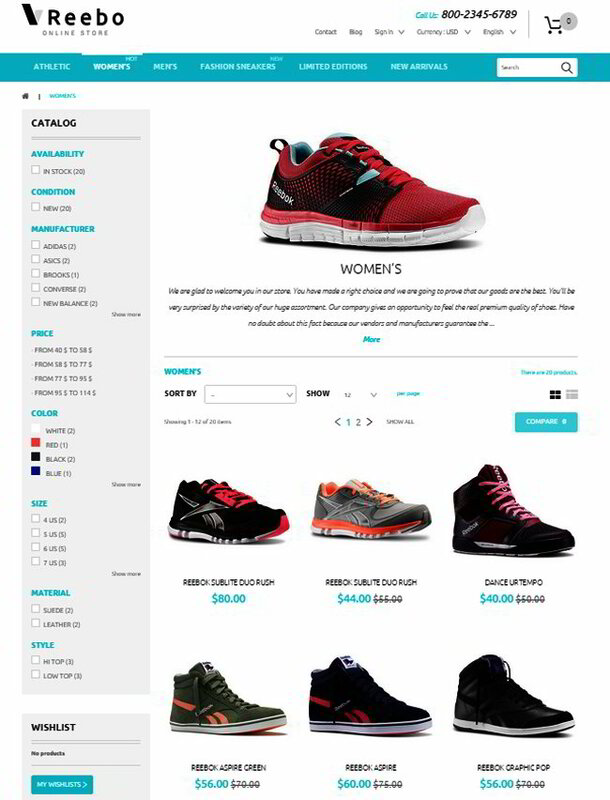 Product Page Gallery. 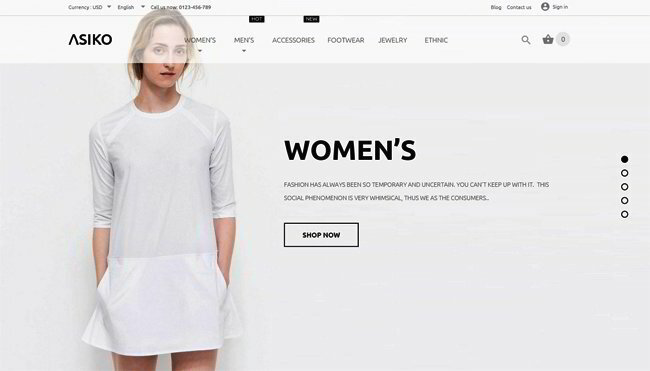 Product pages were made powerful indeed. 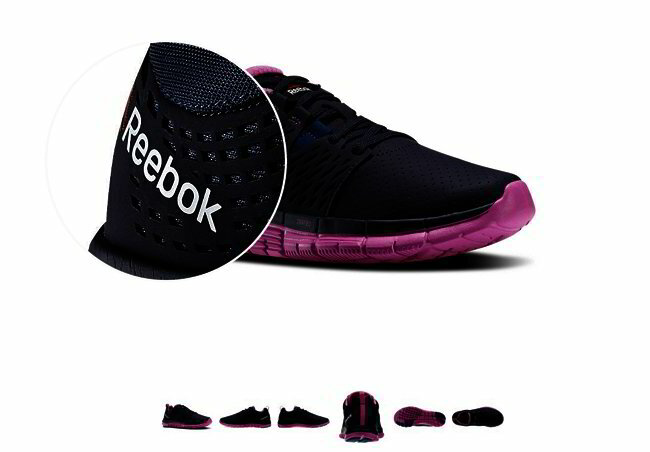 To help your buyers with decision-making and let them take a closer look at each item that you sell, image galleries were provided. Each of the pictures can be enlarged thanks to zoom-in effect in a lightbox. 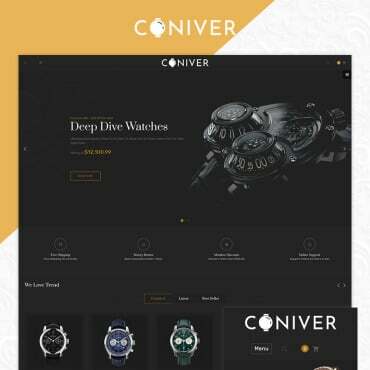 Thus, your visitors will be able to examine each product in detail without having to leave its page. The latter not only provides for better user experience, but also helps you save the customers from leaving your site. 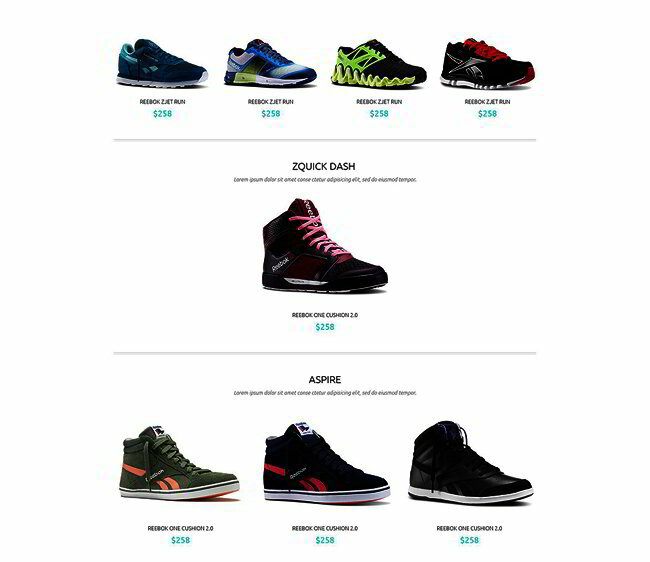 Due to the stunning clipart, Product Listing Page resembles a fully-featured brand store. TM Homepage Category Gallery was deeply integrated into Asiko. 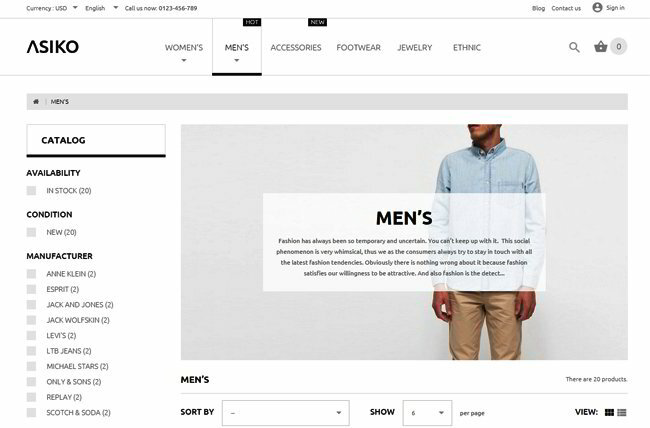 The home page of the latter features full-screen banners that stand for product galleries. For the user convenience, each of the banners features captions and descriptions. To speed up browsing, your site visitors can make use of pagination option, which facilitates scrolling between different category blocks. 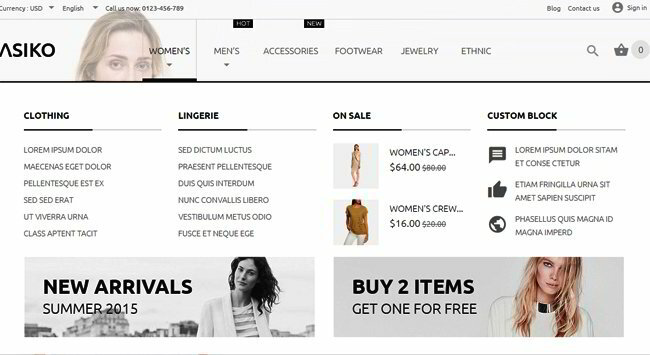 TM Ajax Search is a smart Prestashop module that was integrated to enhance your site usability. With its help users can narrow search results by entering different search inquiries. Search results include the name of products, their modules, manufacturers, descriptions, images, and pricing details. TM Category Slider allows you to add a slider to the category page. In such a way, you can draw users’ attention to new/discounted products or simply those items that are worth of special attention. TM Social Login is a very useful feature that lets users save much time by signing in to your site with the help of the already existing social media accounts. As an admin of your site, you can feel safe that your site won’t be accessed by robots. 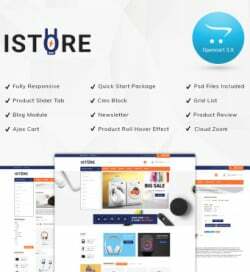 By means of TM MegaMenu you can provide your site visitors with quick access to all items and product categories that are available at your store. When implementing this feature into your site, you can manage the look and feel of the MegaMenu by adding links, banners, icons, images, etc. or simply organizing content in rows, blocks, etc. 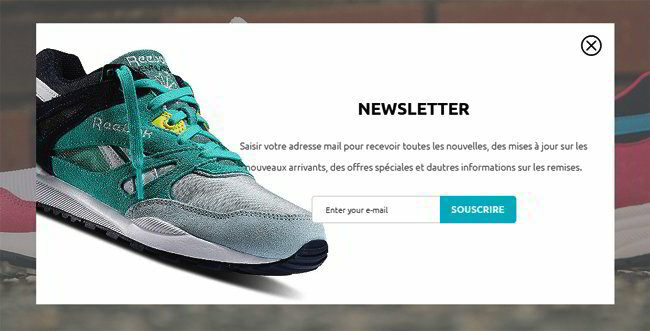 TM Newsletter Pop-up module is intended for displaying a newsletter subscription form in a popup window. You are the one to decide on how frequently this message will show up in front of your visitors, both registered and those ones who don’t have an account. This was a quick review of the key features and modules making Reebo and Asiko worth of our attention. To take a closer look at these deigns and see all of their features in function, you’re welcome to view their live demos. Report goes that TemplateMonster is getting ready to launch more stunning designs in the nearest future. We’ll keep you updated like ever before. So, stay tuned for more!